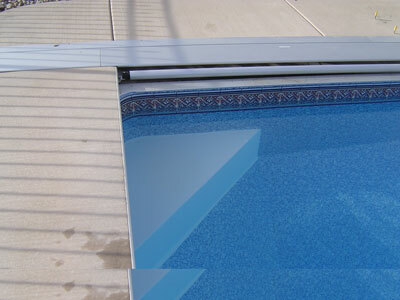 Custom Pool Stair Entries by Swim Shack Inc. 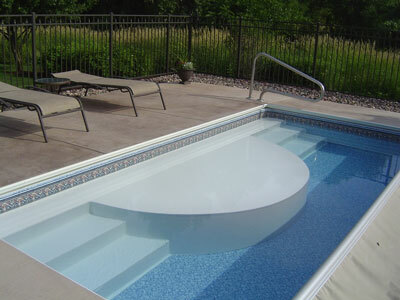 Your swimming pool stairs or in water sundecks are the areas where everyone will "hang out". 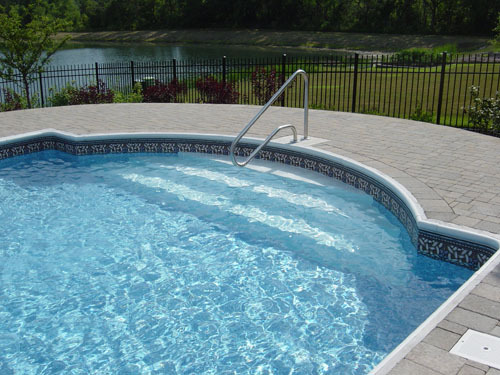 Whether it's the little kids playing or the adults relaxing. 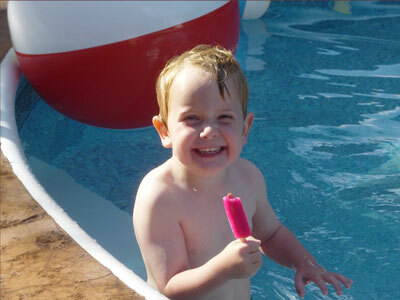 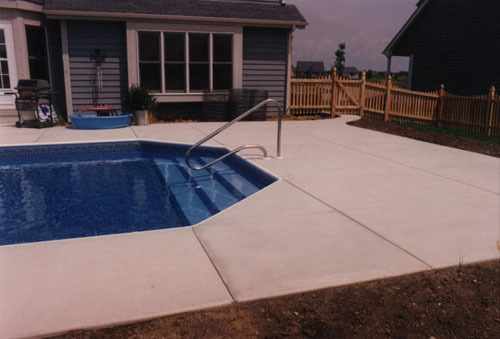 As a custom pool builder Swim Shack Inc. offers unlimited design options. 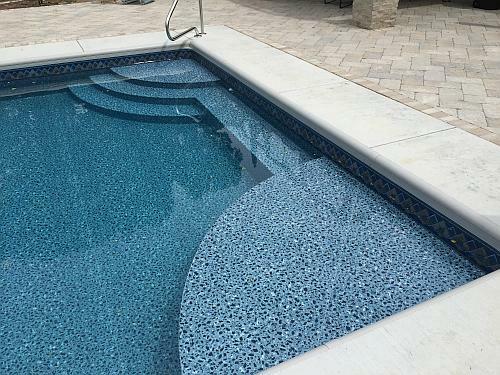 This photo gallery of swimming pool stair entries and sundecks shows you a few styles like the Roman end, Grecian style and radius stair pool end. 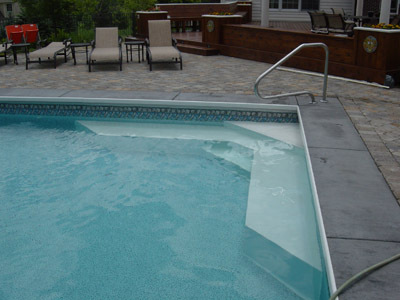 Check out the Kuddle-Kove and the the corner bench styles also. 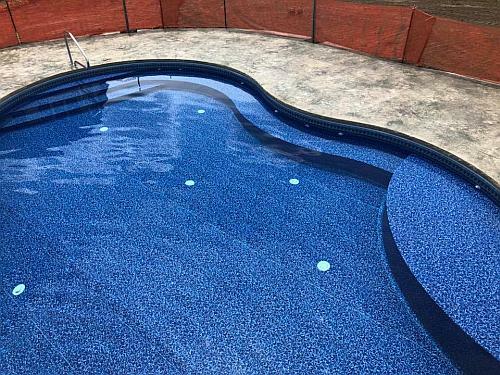 You will be able to pick the one that is right for your pool. 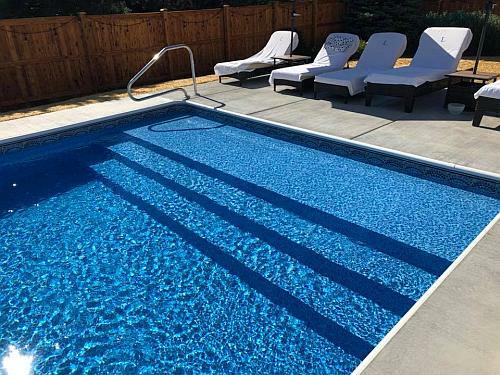 You might enjoy the Swim Shack in pool sundeck. 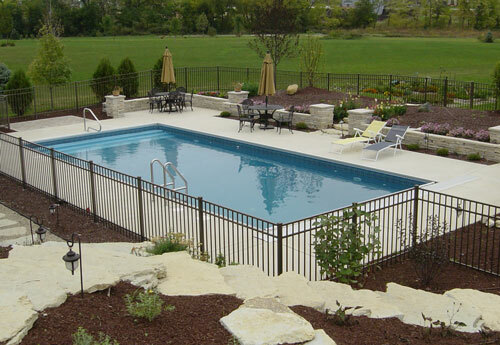 As a custom swimming pool designer and builder Swim Shack Inc. will help you crate the swimming pool of your dreams right in your own backyard. 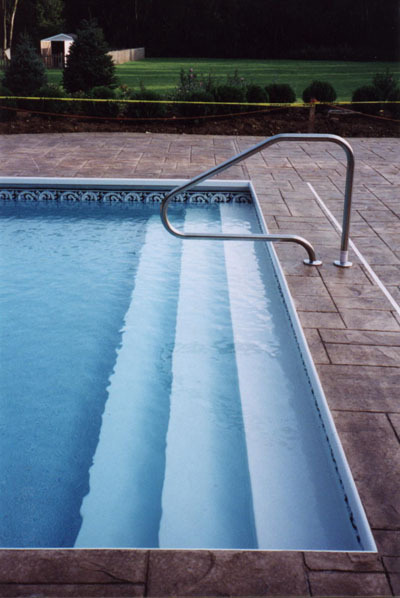 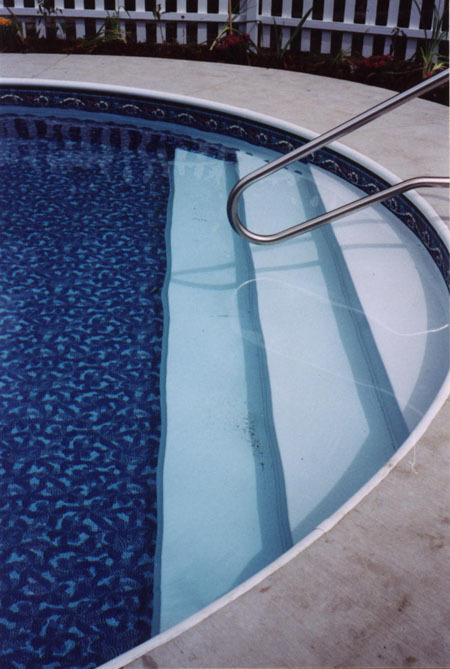 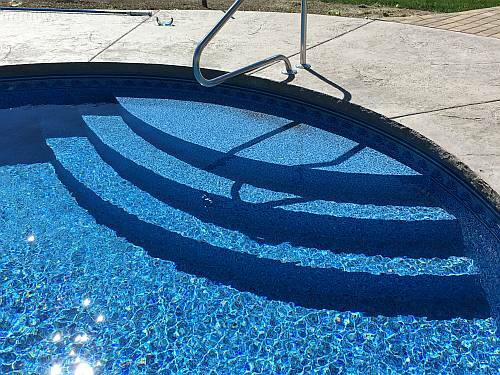 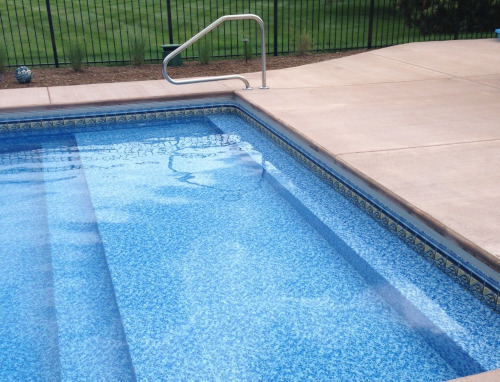 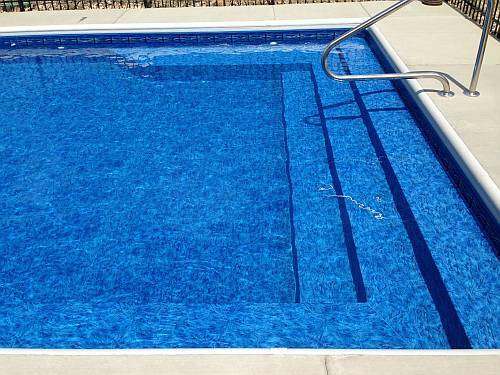 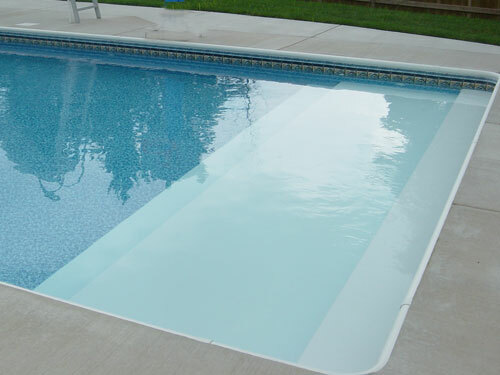 All of our swimming pool stairs have sturdy construction and foam padding under the vinyl liner. 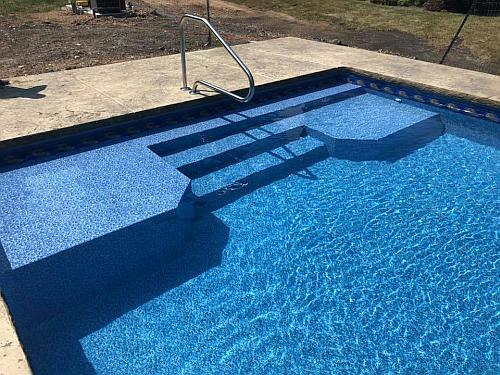 Swimming pool stairs give you convenience, a place to relax and a beautiful view. 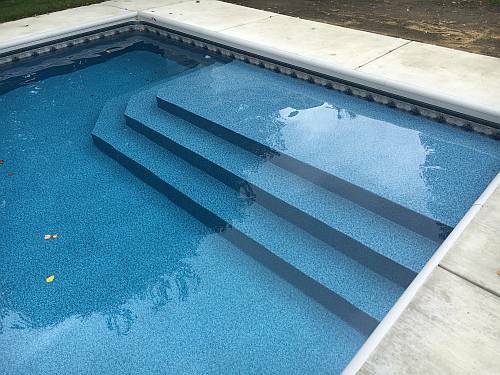 Contact Swim Shack to learn more about stairs for your new custom in ground swimming pool; Call Swim Shack at (630) 466-4853. 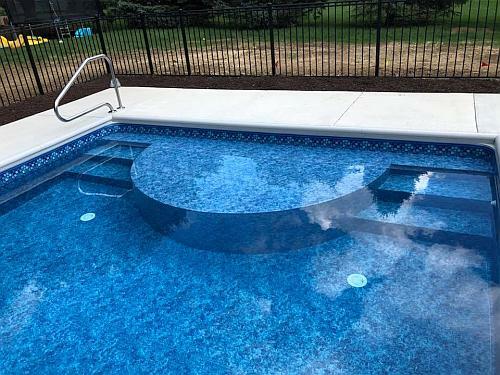 A pool contractor you can trust.